A Russian rocket has taken an American communication satellite EchoStar 15 to suborbital trajectory. 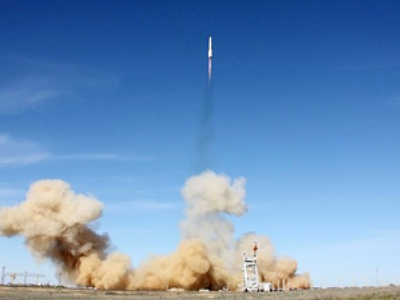 The satellite, weighing 5,521 kilograms, was blasted into orbit by a Proton rocket booster. The main propulsion engine, Briz-M, will gave five impulses to the satellite, taking it to the dedicated orbit. The satellite is planned to undock from the propulsion engine at 07:53 Moscow time, to take a position on a geostationary orbit at a longitude of 61.5 degrees west. The EchoStar 15 was developed by Space Systems/Loral Company for the American telecaster DISH Network, to replace the EchoStar 3 launched back in 1997. For the next 15 years, the satellite will serve 14 million American viewers in the continental US.